I spent July 4, 2011 much like I did in 2010, workin' hard for my money! 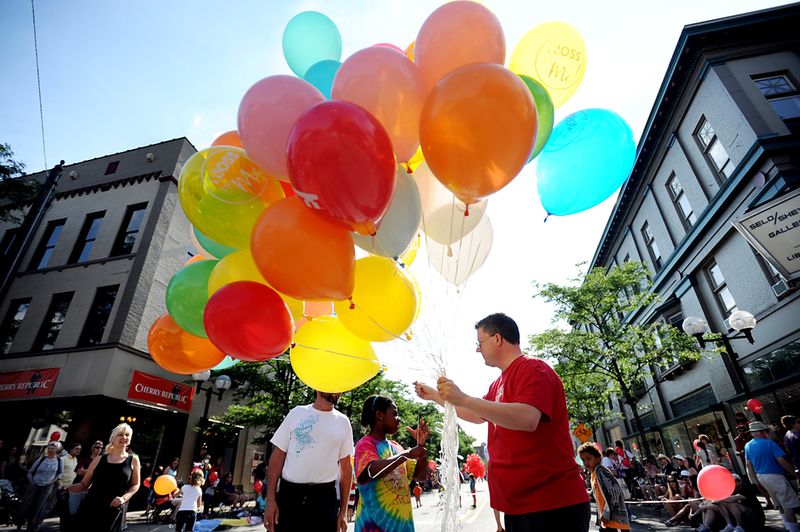 Like last year, AnnArbor.com assigned me to cover the annual Ann Arbor 5K and parade in downtown. I really enjoy shooting both these events, there is a ton of holiday spirit and a TON of holiday color to boot. Check out the full galleries for the Firecracker 5K and the Ann Arbor Jaycees Parade. Here are a few of my photos from a busy day of shooting. Grandpas and smiles everywhere you look! I've seen a lot of things at parades, but this was my first macaw. Meet Chessie.